Home » Celebrities » Featured » Spring Break 2017: Club La Vela Announces 'First Wave' of Concert Acts! Spring Break 2017: Club La Vela Announces 'First Wave' of Concert Acts! Club La Vela has announced its first wave of concert performances for Spring Break 2017 and already some big names have made the list! 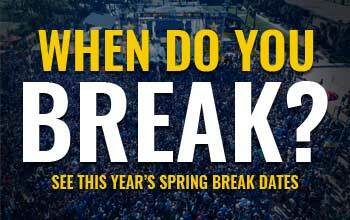 For now, here’s who’s coming to town for Spring Break this March: Please note, Doors for all concerts open at 7pm.